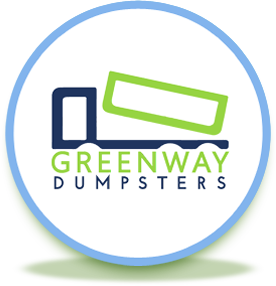 Greenway Dumpsters offers outstanding dumpster rental services in Indianapolis. Are you a contractor who needs to rent a dumpster? Demolition removal can be a hassle, but not with our professional solid waste services, which include collection, transfer, disposal, and recycling. The process is simple, as we will drop the container off and once you are done, call us and we will set up a time to pick it up. No matter the size of the demolition removal project, we have an environmentally accountable and low-cost solution. Review our Indianapolis dumpster rental options below and call us today to set up a delivery time of the one you select! Our base price is flat rate for dumpster rentals in Indianapolis, Carmel, Fishers, Avon, Brownsburg, Greenwood, Lawrence, and Plainfield. Roofing material (Up to 40 square) – Asphalt Shingles can be recycled in Indianapolis! Roofing material (Up to 60 square) – Asphalt Shingles can be recycled in Indianapolis! Roofing material (Up to 80 square) – Asphalt Shingles can be recycled in Indianapolis!